That’s all I could think as I rummaged through my fridge to decide what to have for dinner. Sometimes I think I take what I have in that thing for granted… actually, I know I do. Food in my fridge and fresh water. My world is about to change. As for my last dinner, I refused to go out and put what I have to waste. Sauteed vegetables and infused water it is. The more I think about how lucky I am to have such a meal the more my eyes well up with tears. 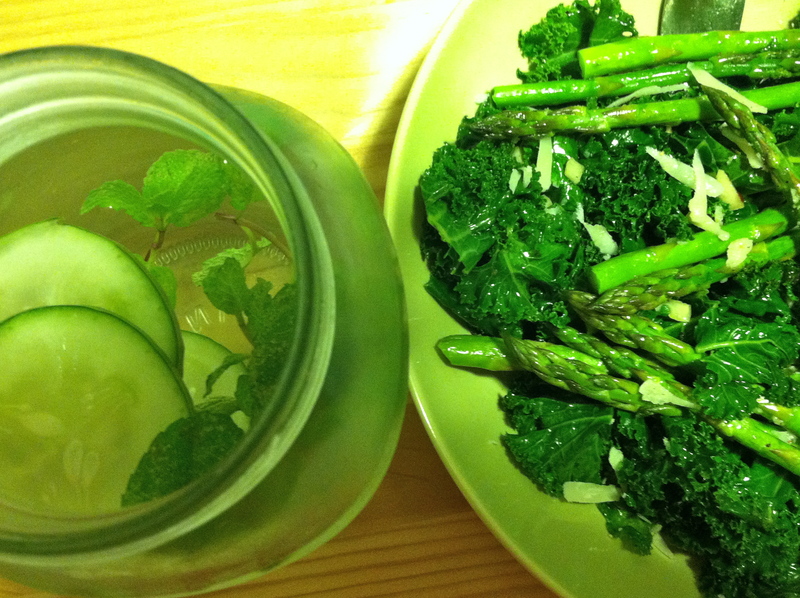 Crying over kale and asparagus, sigh. Big things tomorrow and I can’t wait.